As an experienced garden sitter, I've complied my shortlist of the very best garden seats I've sat on. 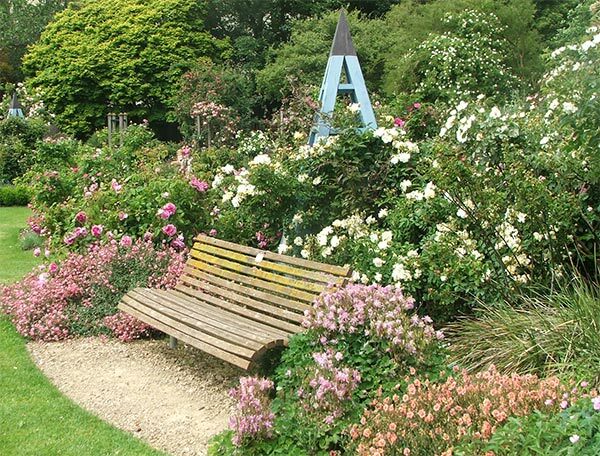 Some are grandly situated by paths in huge rhododendron forests, or in frothy, flowery rose gardens. Others are private and shy, hidden away in a friendly backyard. No. 1 - Botanical and Boring? Actually, I'd hate anyone to think I was prejudiced against rustic garden benches - even if I find them a teeny weeny bit pretentious, and they rarely tempt me to sit down. They have just as much a chance as the next seat in this competition. I can personally guarantee that this shortlist is bona fide, and that each seat or bench mentioned has been firmly sat on by the Moosey bottom, for at least two minutes. Personal seats in the Moosey Garden are ineligible, for reasons of familiarity. No. 2 - Purple and Private? 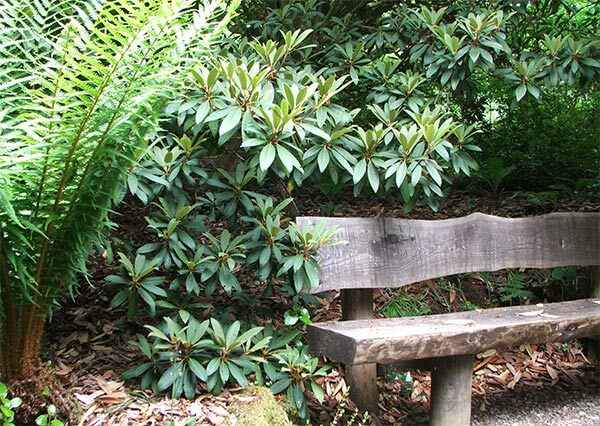 This includes not only the general style and feel of the garden seat itself, but the style and feel of its surroundings. 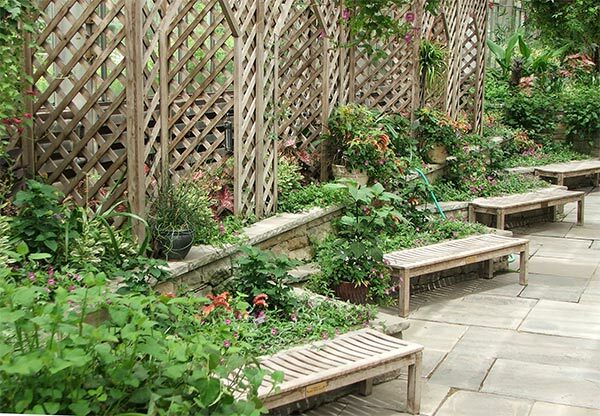 For a seat to score well in ambience it will need to connect strongly with its views - for example, rustic garden benches will need to be in a definite rustic setting. No. 3 - Interesting and Informal? 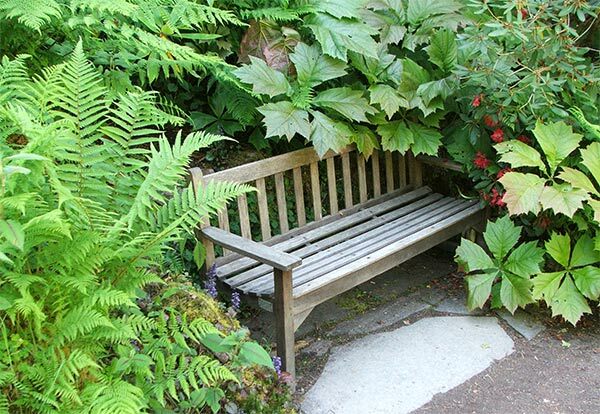 Generally speaking, seats with good ambience will encourage the sitting gardener to dream, plot and plan. They'll be lingered on, perhaps for a half an hour and the sitter may even doze off, if the seat is sunny enough. Seats are given a sturdiness rating, and the surfaces are checked for splinters or similar uncomfortable features. Safety is paramount - no seat which threatens to collapse or feels too wobbly can be seriously competitive. And seats have to be relatively weather-proof. No. 4 - Rustic and Random? 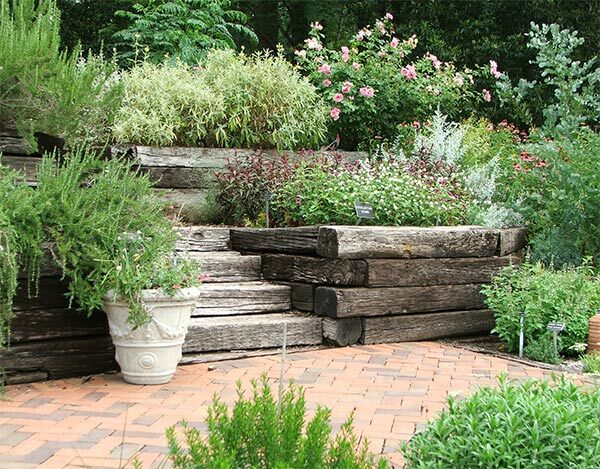 Rustic garden benches again will be at a disadvantage, since they foolishly think that having a wobble-factor enhances their popularity. Design is a difficult category to score. Often boring seats which have been freshly painted suddenly look well designed, while kitset park benches really have no designer element at all. Yet in the right setting they can shine. A general warning here to rustic garden benches - there's more to design than rough, knobbly branches covered in lichen and rusty old nails. No. 5 - Fractal and Friendly? 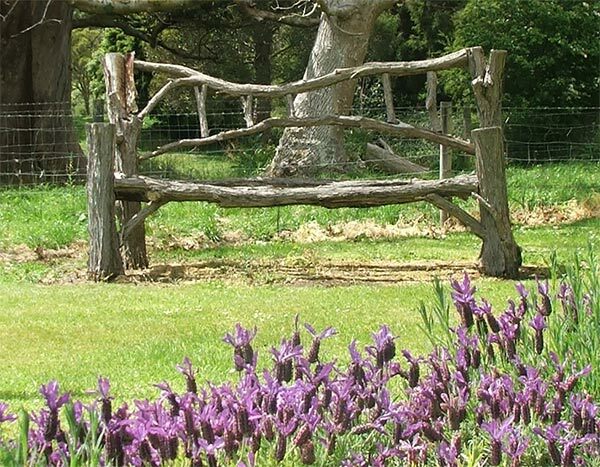 The design score given to a garden seat or bench will simply have to reflect the gardener's artistic experience. Oops. There's more to garden comfort than curved flat bits, if that makes any sense. Proportion will have impact in this category. And garden seats with silly cushions that match the nearby flowers are ineligible. I mean - really! Gardens are not outdoor rooms, and any seat accessory or decoration must be sensible, not blow away in a winter gale, and be appropriate to be outside in a snow storm. No. 6 - Rosy and Robust? For reasons far too numerous to go into here, rustic garden benches could be very disappointed with their comfort scores. 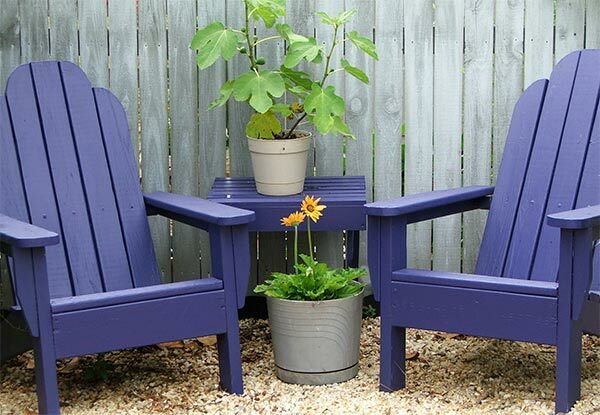 This measures the je-ne-sais-quoi element, the x-factor, the little unknown things that make one garden seat or bench truly memorable, helping it to stand out (or should that be sit out) from the rest. It could be a simple as the gardener's mood at the time, as sensual as the fragrance of the nearby roses, or as fickle as the English summer weather. No. 7 - Rude and Rough? Just a few more general comments are needed, lest a seat have too much money spent on acquiring unnecessary extras. Garden seats accompanied by tables don't necessarily score any higher. Nor are arms (for easy placement of cups of tea) required. The seat sitter is to be considered an athlete, able to balance a hot drink on her knee while reading a book and patting a visiting cat. All at the same time. 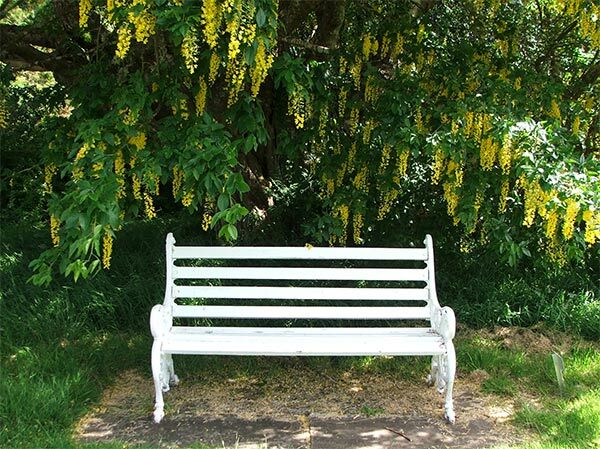 The final seat to have its entry processed comes from Attadale Gardens in Scotland - it's a simple white garden bench underneath a beautiful old Laburnum tree. That makes eight garden seats, all competing for the prestigious title of 'Top Seat' - just like a silly reality TV show!